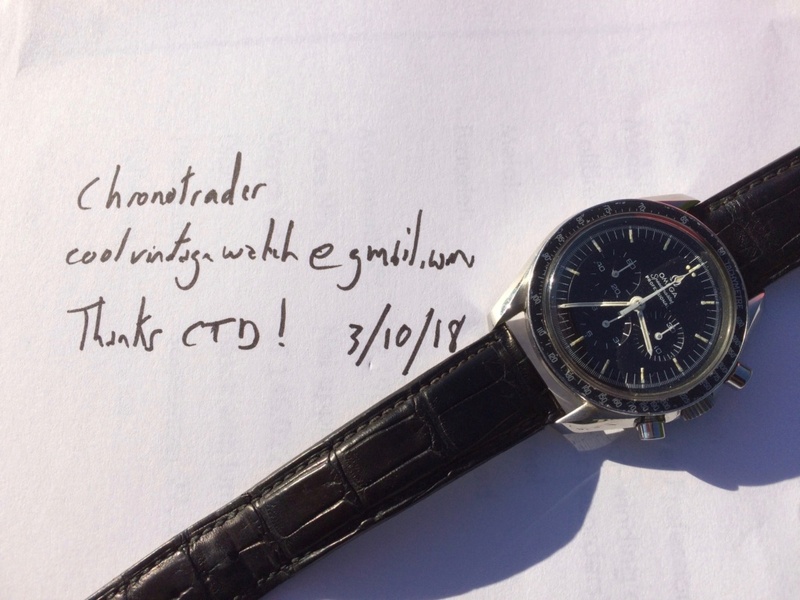 Omega Speedmaster 145.022-69 Straight Writing in great condition. Serial number is 32196534. 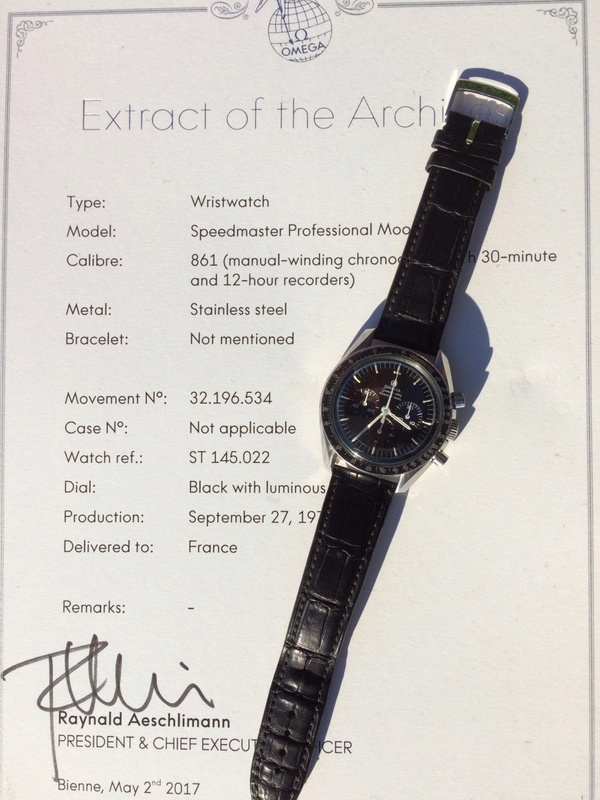 The watch comes with an Extract of Archives with mentions it was produced in september 1971 and was delivered to France. the step dial and the hands are flawless and untouched, both with original lume. 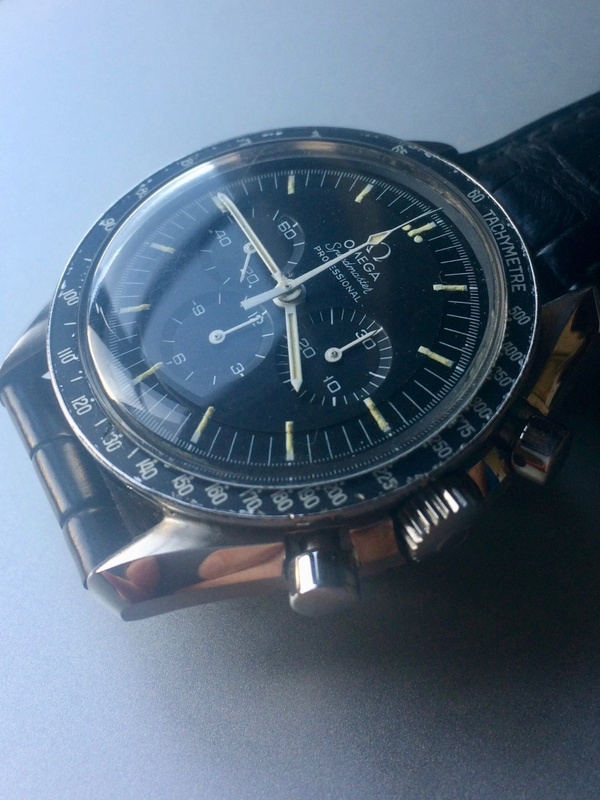 The case is spectacular : no doubt that it was never polished. Crown, pushers and cristal (correct logo engraved) are also original. The bezel is the original DNN (narrow C). 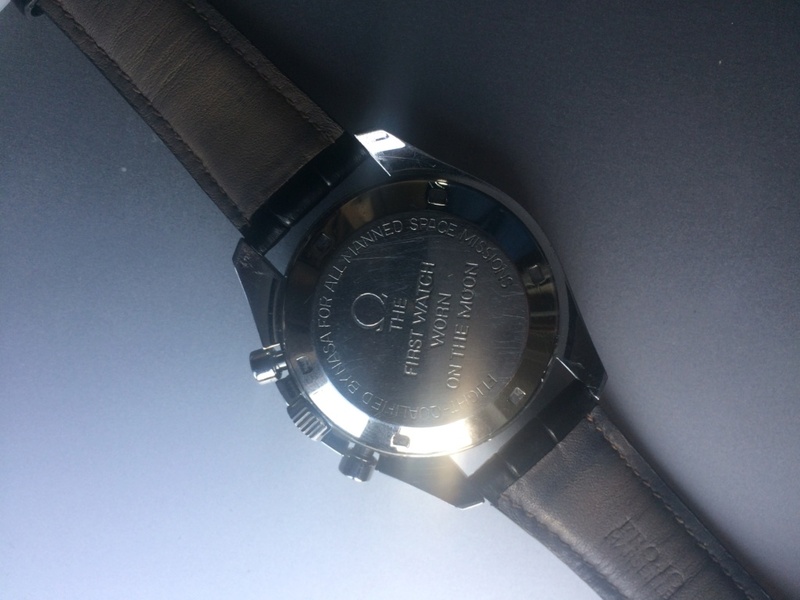 Caseback presents the rare « straight writing » engraving, which is also in good condition. 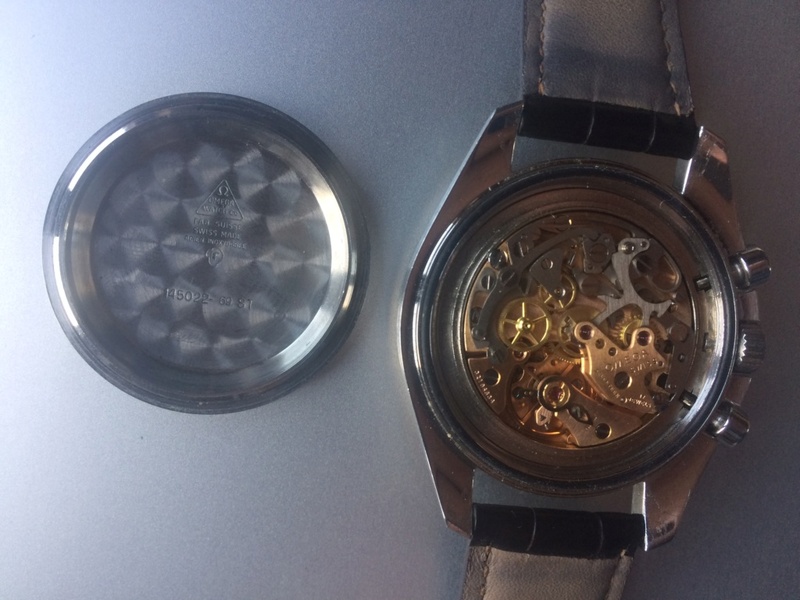 861 movement keeps good time ; chrono fuctions work properly.